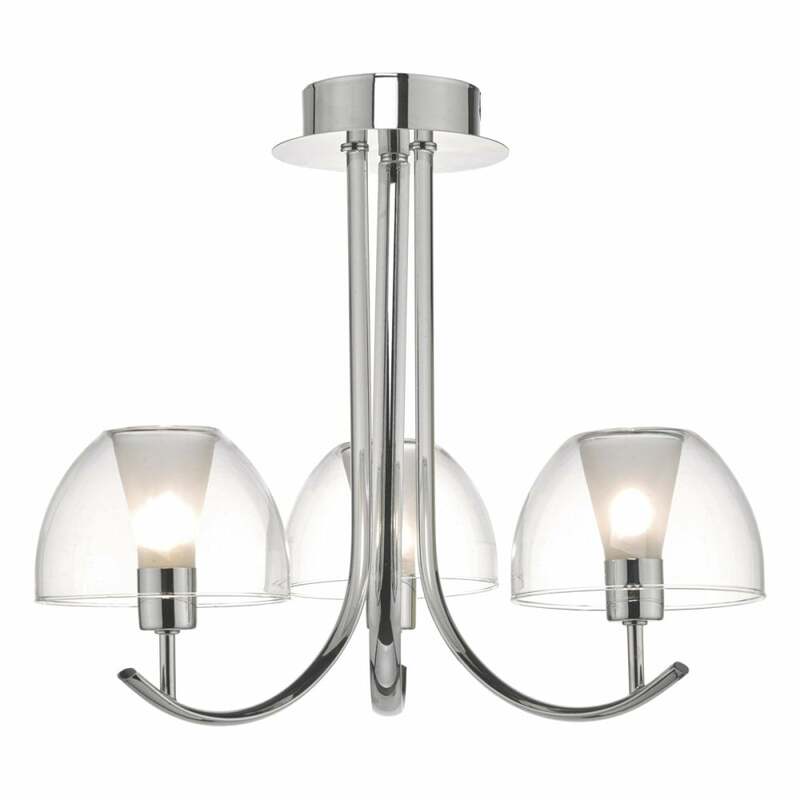 Dar Lighting Duana 3 light semi flush ceiling fitting features a circular ceiling plate with a trio of curved arms all in polished chrome finish holding dome shaped open glass shades. The product code is DUA5350. This quirky design is great for rooms with low ceilings. The combination of chrome and clear glass shades adds a modern touch making this design perfect for both modern or contemporary styled decors within your home. A wide range of semi flush ceiling fittings can be viewed on our website.